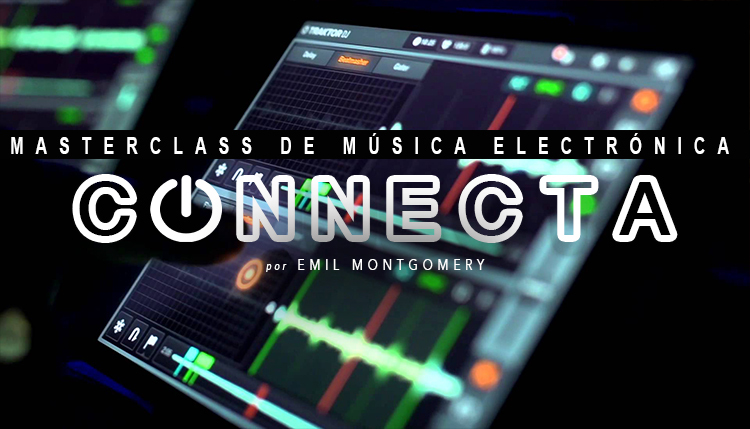 Time: 6:30 p.m. to 8:30 p.m. and Saturday 5 p.m. to 7 p.m.
Connecta offers students the possibility to become familiar with the software and the applications necessary to combine image and sound, without having to have previous experience in both fields. The result of the workshop will be an audiovisual work composed by all the participants, which will be inspired by the daily environment of Es Baluard, for this sound samples and visual records of the most representative aspects of the cultural complex of the museum will be taken. The recipients of the workshop will be those people interested in both musical creation and audiovisual, with basic knowledge of the use of digital tools. It is addressed to all those students, musicians, producers, DJs and fans of music in general. To register for the workshop, it is not necessary to have previous knowledge. The workshop will be developed during two weeks in sessions of 2h for a group-class of 12 students maximum, in which a theoretical part and a practice will be taught. Each student must come with their laptop or similar device (smartphone, tablet) with its corresponding charger, a USB of at least 15GB and headphones. The registration fee is 25 euros (10% discount for Amics d’Es Baluard) and places are limited. 1991 He presented his first multimedia concert at the Teatro del Anglo in Montevideo, highlighting his proposal in which he used laser holograms and synchronized video projections to a complex system of devices. 1995 Realizes “Concert for Tolerance”. The biggest open show in the history of Uruguay, in which he summoned 300,000 spectators, marking the Guinness record for the largest audience in his country. Receive the prestigious IRIS award. 1996 Jean-Michel Jarre dedicates a prologue to his album “Essence” in which he congratulates him on his work. He is nominated by UNESCO as an Ambassador for Peace, and gets the UNESCO-Ashberg Prize to be awarded at the Center for Creative Arts of Virginia, USA. 2000-2008 Invited by UNESCO Mexico moves to that country, where it develops numerous workshops and conferences on music and new technologies, working in exchange with the UNAM, the OEI and the Museum of Art and Technology of the Federal District. It promotes the concept of democratic art, spreading the idea that all people should be able to access the artistic creative process in order to strengthen the individual and collective values ​​that help to build a better society. He teaches workshops at the MARCO (Museo de Arte Contemporáneo de Monterrey).